I was inspired to do this project very recently, when I received my transcript and noticed several tardies during my first period class. I decided I need to change this and be on time to class next year. So I decided to make an app that would help me wake up on time and force me out of bed, and at the same time collect selfies of myself just moments after I wake up. 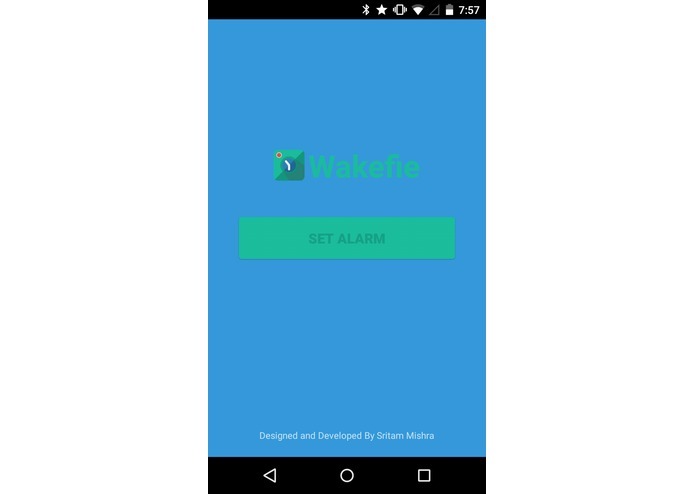 Wakefie isn't any typical alarm app--the only way to stop the alarm is to take a selfie. Thus, not only will the user be on time to work or school, but also, he or she will accumulate a collection of funny pictures that show the user waking up. 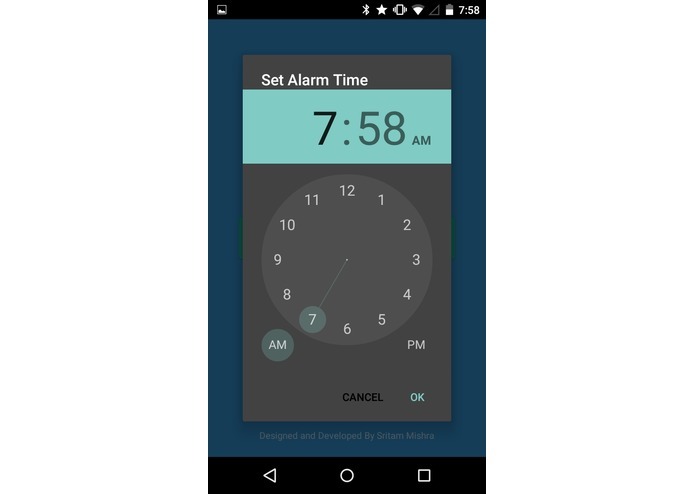 Before taking a nap, the user will set up an alarm on Wakefie. At the time set by the alarm, the user will wake up from the alarm's ringing and the alarm won't stop until the user takes a selfie with his face. The user can then crop, add filters, and finally upload this selfie to instagram, and using instagram, he or she can share it to facebook or twitter or other social networks. Since I am a high school student, I faced many challenges throughout this project. One of these many challenges include learning to use OpenCV. I wanted to make the app detect whether the user is smiling or not, but with the short amount of time left, I wasn't able to make that function work. Taking into consideration that I am a high school student, I was simply proud of the fact that I designed a hackathon project myself and I am very happy that even though I usually make small games for android, I was able to use a camera to take selfies and send it to Instagram. 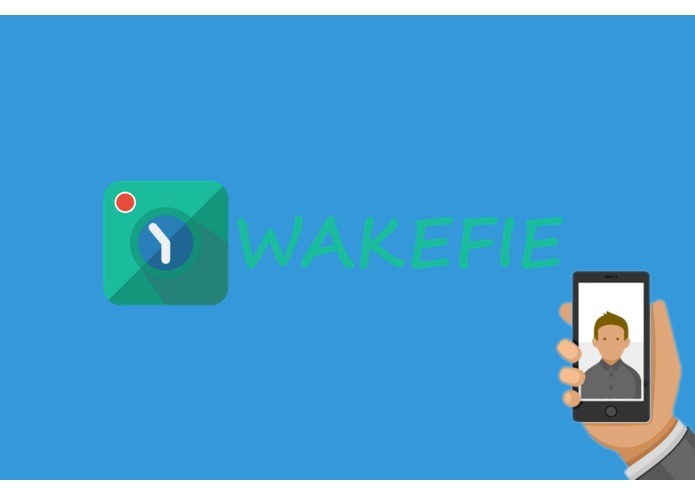 I am also very proud of my website wakefie.co.nf This website uses a nice creative design that give off the appearance that the android device is changing screens, once the user scrolls down. As a student, I learned a LOT. First off, since I usually develop games for android, I was able to learn a lot about Android's other features that I don't usually work with. Secondly, learning to use OpenCV may have been somewhat of a challenge, but I also thought of a great science fair project idea that I can use with this library. If I am able to garner enough support for this app, I would be eager to update and make several improvements, like adding a video selfie feature instead of just a picture, or even to detect if the user is smiling with his eyes open. The link in the description is not working anymore.